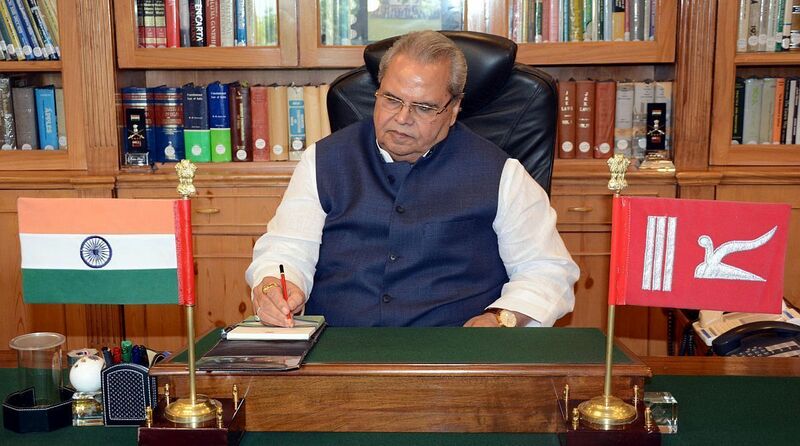 Governor Satyapal Malik dissolved the J-K Assembly on Wednesday evening, shortly after PDP leader Mehbooba Mufti faxed a letter to him staking claim to form government with support of the Congress and the NC. In an interesting turn of events, Governor Satyapal Malik dissolved the Jammu and Kashmir Assembly on Wednesday evening, shortly after PDP leader and former chief minister Mehbooba Mufti faxed a letter to him staking claim to form government in the state with support of the Congress and the National Conference. The dissolution was announced by the Governor in a communique released by the Raj Bhavan. “Reports of extensive horse-trading and possible exchange of money in order to secure the support of legislators belonging to widely diverging political ideologies just to be able to form a government. Such activities are not healthy for democracy and vitiate the political process,” it said. The third reason cited is “serious doubts about the longevity of any such arrangement where there are competing claims of majority”. “The Governor came to the conclusion that, in this background, he has satisfied himself that the best course of action is to dissolve the assembly so as to provide stability and security to the state and hold elections at an appropriate time so that a government with a clear mandate is duly formed,” it added. Shortly after the PDP, Congress and NC formalised an alliance to stake claim to form government in Jammu and Kashmir, and Mufti sent the letter. Peoples Conference leader Sajad Lone, with support from the BJP, too reportedly wrote to Governor Malik countering the move.